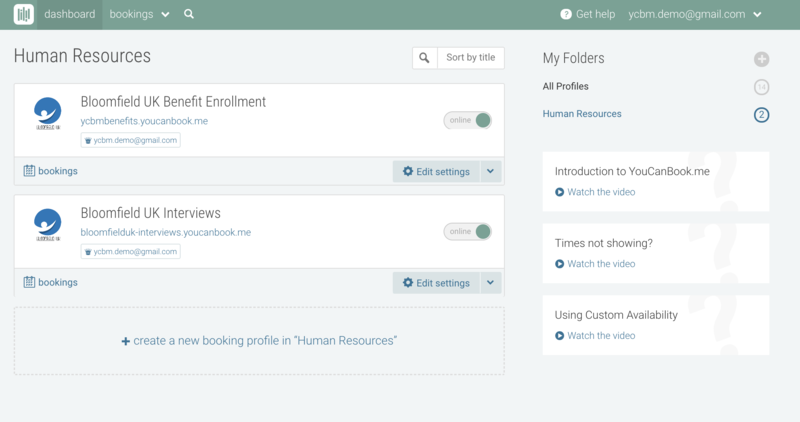 With the ability to create an unlimited number of booking profiles on your account, you'll want to stay organized. 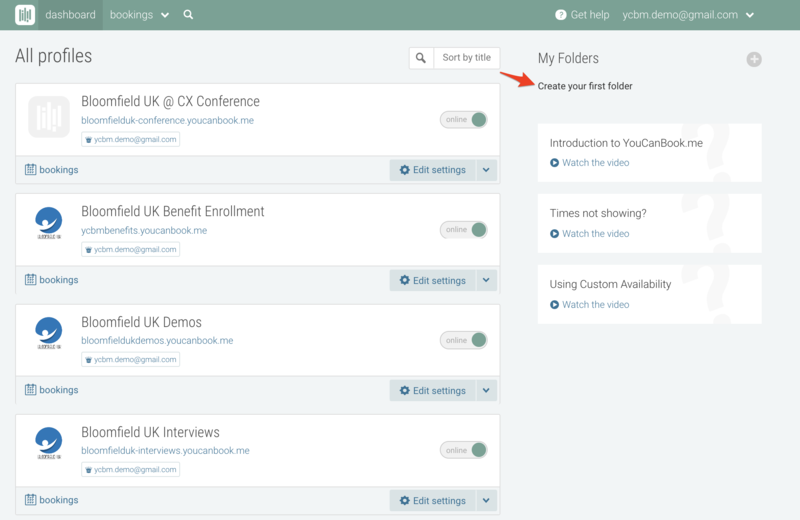 Here's how Dashboard folders can help. 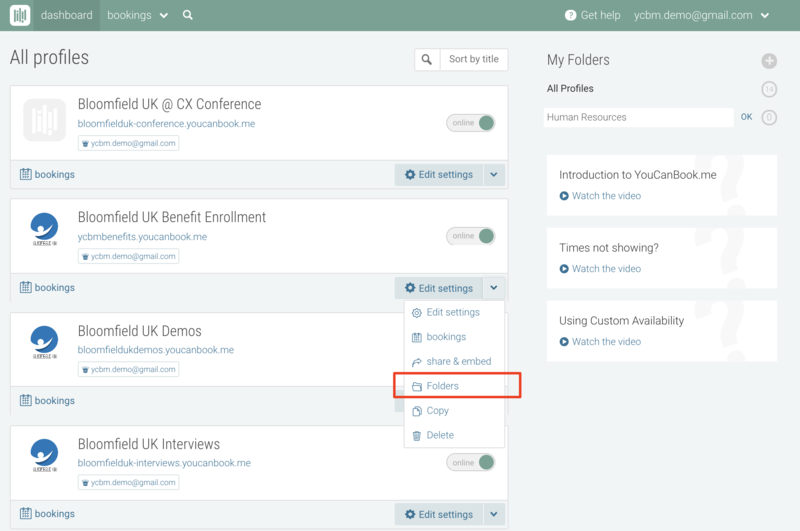 On your dashboard, you'll see a section called My Folders on the right hand side. Click Create your first folder. 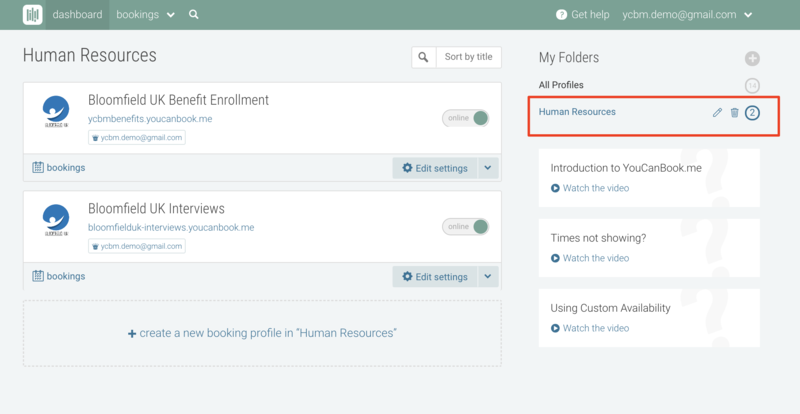 Choose the title for your folder, and click OK.
On the booking profiles you want to move into that folder, click the chevron next to Edit settings, and select Folders. 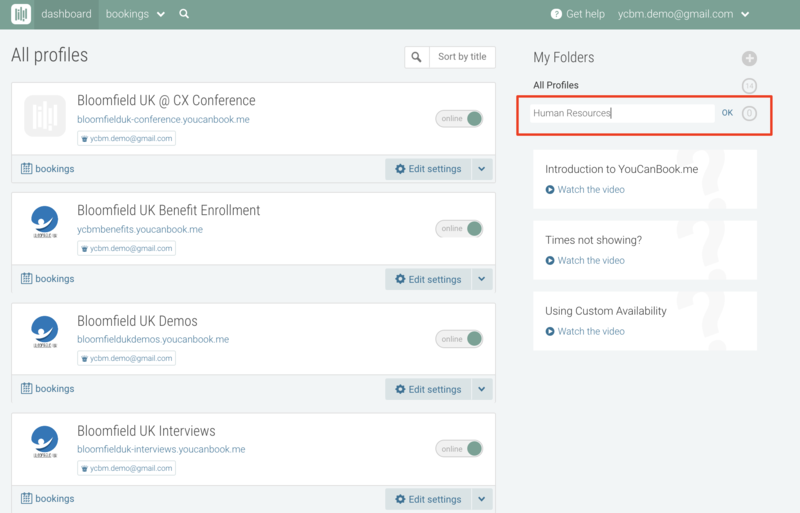 Now, when you click your dashboard folder on the right, you will only see the profiles that are in that folder. 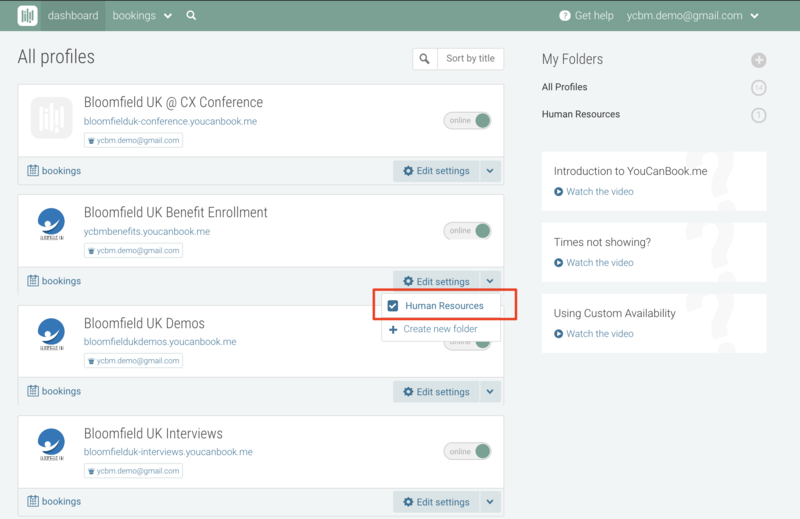 To remove a profile from a folder or change the folder it is associated with, click the chevron next to Edit Settings, select folders, and deselect the folder. To edit the title of the folder, hover over the folder name and click the pencil icon. To delete the folder completely, hover over the folder name and click the trash icon. Deleting the folder will not delete the profiles in the folder - they will go back to the main profile view.